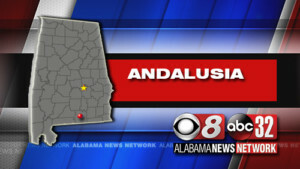 From the South Alabama Newsroom — The Andalusia Police Department is seeking the public’s help in solving a recent string of four shootings. Investigators are continuing to speak with witnesses, victims and possible suspects. The shootings happened on Aug. 6 on Snead Street, Aug. 11 on Oak Street, Aug. 29 on Pugh Street and Sept. 6 on Little Street. Police say that there has been talk around town that gangs are responsible for the shootings. However, police say that drugs have been the common thread and that no organized gang activity has been reported. Police say they have developed a strategic plan, with officers working overtime and on specific details in high crime, high drug areas. Police do encourage those with tips that could help solve these shootings to call (334) 222-1155. In the meantime, they encourage Andalusia residents to attend the 4th annual National Night Out event on Tuesday, Oct. 2.